1. Dokora introduced the EMAP, a convenient way of enrolling children in boarding schools. While the system may have had its flows, it has managed to save parents money and time hopping from one school to another. Previously, school heads had been inviting the whole nation to their entrance tests, when they only wanted, say 100 form one students.I'm a teacher at a boarding school, and personally I used to earn some good money out of entrance tests. But that does not make me ignore the inconvenience and expense that parents were unnecessarily going through. 2. Dokora did away with the incentive system, a system which had made education an expensive service, as the incentive system was excluding learners from poor schools. The Teachers Unions celebrated the move by Dokora. Being a teacher at a boarding school, I used to get a good incentive.Still, that does not ,make me ignore facts. Maybe I'm the weird type, I think so. 3. What is wrong in a cash strapped society like ours, to say those parents who can afford goats, cattle or the like, may pay the livestock as fees? Isn't it better than nothing.Because honestly, most parents are getting their children educated for free while others are paying. 4. Honestly speaking, was it fair for infant centres to call out for graduation ceremonies for ECD infants, with demands that sometimes exceeded those of university level? ECD graduation ceremonies were stopped by Dokora, because they were an unnecessary burden to most parents who would be busy saving for fees and uniforms for grade one level of their children. 5. Dokora never said teachers should not be paid their salaries during the holidays. These are whatsapp falsehoods that spread like fire and people end up believing them. 6. Was is not a justified move to ban extra lessons? All the generations before the present academic generation learnt and passed relying on lessons conducted during the school terms only. Is it a lie that some teachers no longer conducted meaningful lessons, targeting to cover syllabi in extra lessons. Is it not true that children need to rest during the holidays? What is the logic behind sending a grade 1 pupil to extra lessons? 7.When Dokora said it was necessary to set up a government account and school levies had to be deposited in the account, it was like Dokora had murdered someone. BUT, is it not true that there is rampant embezzlement of funds in schools? So many embezzlement cases have been unravelled in audits conducted in schools. 8. What is very wrong about electronic checking in at work? Is it a lie that many teachers are absenting themselves for work with no meaningful reason at all? 9.Yes, teachers have not had a pay rise for more than five years now. But is that Dokora's fault? Is he responsible for the non productive economy of Zimbabwe? 10. Critically speaking, what is all the fuss about the National Schools Pledge. What is really wrong about it? 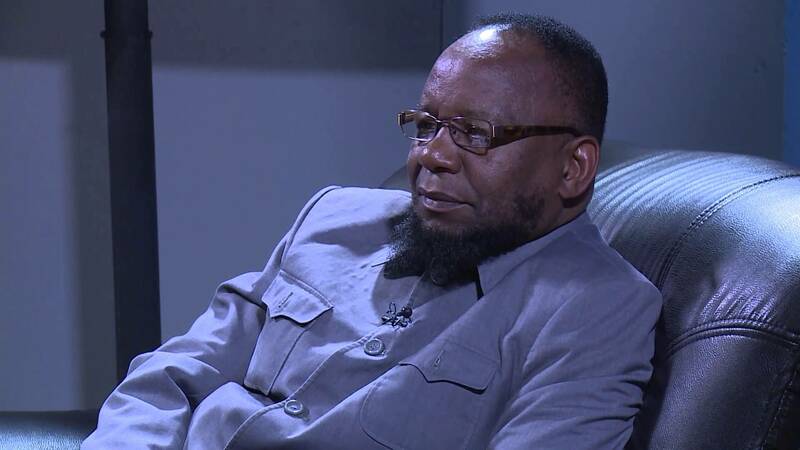 There is nothing Muslim about it, Dokora is not a Muslim.Those are just unfounded allegations that have been levelled against the man who, unfortunately is not good at defending himself or clearing his name. Surely, what is so wrong is saying"Almighty God, in whose hands our future lies, I commit to honesty and the dignity of hard work" and other phrases about recognising the role played by the liberation war heroes as well as the importance of looking after our natural resources. Basically that is what the National Schools Pledge is all about. 11. And now to the New Curriculum, which I believe has triggered the most resentment in citizens.Let's start with the STEM.Personally, I don't see any fall in saying the economy now demands us to do less with theoretical degrees like Philosophy and Sociology, let us enrol more learners for Sciences, as they are the ones which mainly meet the current needs. Then Dokora's curriculum starts preaching STEM.This was an initiative set up in collaboration with the Ministry of Higher and Tertiary Education, then under Jonathan Moyo. Frankly speaking, some if not most of the degree programmes that are being offered in universities are now obsolete,so STEM came as the answer. * Yes it is undeniable that the New curriculum was implemented without enough resources, but should schools have continued with a curriculum that no longer met the needs of the current times. THE new curriculum introduced subjects such as Software Engineering, Visual and Performing Arts and many others, disciplines which are in tune with the demands of today's society. In a society where children are getting lifestyle diseases due, is it not necessary to introduce a discipline such as Physical Education, Sport and Mass Displays.Of course, resources are limited but couldn't schools use the available resources like grounds and cluster teachers to make learners exercise and learn to eat well in this era of rampant lifestyle diseases. *The New Curriculum states that intelligence is not only in the form of academic, as evidenced by High IQ. Rather, it states that even the child who can act, dance, sing, or even plait hair,is intelligent in that field. This is something that has not been emphasised before. However, it has been clearly seen that not only doctors nor professors are living well in today's society, some h airstylists,singers are also earning well and this is an angle which has been overlooked. * Nobody said tasks should be typed and printed.All learners needed were research on their tasks and write them down. The outcry on work overload is done without realising that most of the syllabuses have been downsized, e.g. Shona now has fewer aspects in its syllabus, which leaves time to conduct tasks. * The projects supposed to be done by learners are not typical of university projects, even eight pages would do in most projects. Learners learn to be independent in a society that does not want highly dependable children. * It is a lie to say that no one was consulted before the implementation of the New curriculum. Workshops were held, I remember attending a workshop on issues to do with a good education curriculum. I, and other teachers at our school, engaged the ancillary staff and the community near our school in a workshop in which they were filling in questionnaires about what they thought was important, e.g. the importance of maintaining Indigenous Languages, the importance of Visual Arts etc. *Heritage Studies, a mandatory learning area under the New Curriculum has been proven to be an easy learning area that most History teachers can take. Textbooks for Heritage Studies have been provided and that has made things easier. * Dokora is accused of forcing teachers to attend political rallies. Isn't this another falsehood just like the one which says Dokora said teachers should not be paid on holiday. * It is said Dokora did not defend schools against the requests for school buses to ferry rally attendants. Honestly, what was Dokora supposed to do, when the orders came from authorities above him, authorities that he also feared? * It is said Dokora scrapped teacher's vacation leave. Was it Dokora, or Treasury? What was Dokora supposed to do when the Treasury had indicated that its coffers were dry? In as much as it is important to criticise whenever we feel something is not done in the expected manner, it is equally of paramount importance not to fall into the pit of group psychology, in the form of social medial groups. When someone has been placed under authority, it is necessary for him to supervise and Dokora had been doing just that. Like I said Im in the teaching field and I always observe that most teachers do not want to be supervised, they want to be left going to hoard bells on a working day, they want to be left instructing those children who have not paid extra lessons fees going outside the class while others are learning etc My last words: DONT HATE DOKORA BECAUSE EVERYONE HATES HIM,HATE HIM BECAUSE YOU HAVE VALID REASONS TO AND ANALYSE YOUR REASONS TO SEE IF THEY ARE REALLY VALID.